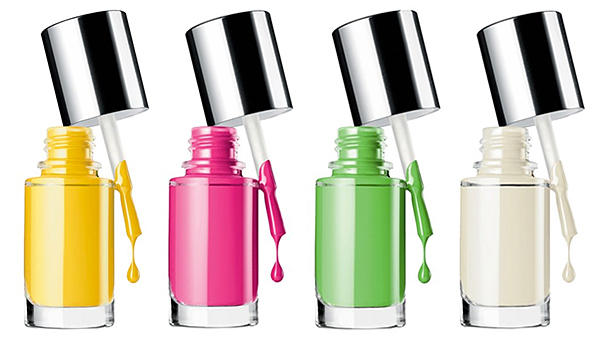 Does Nail Polish Cause More Problems Than We Think? If you’re like me than you will always have nail polish on your nails at any given time. I couldn’t tell you the first time I discovered the colors of their names that came with it- it was a glorious moment. But with all the chemicals listed online that’s in a nail polish bottle, I had to do more research. Could it be that nail polish is doing more harm than good? In a Daily Mail article, Doctor Thu Quach explains how nail products can contain dangerous materials. Upon these findings Toluene, which is found in gasoline according to the Merriam Dictionary, Formaldehyde, which is known to cause cancer according to Dictionary.com. I know the brand Essie that sells nail polish stopped using Formaldehyde in its products a few years ago because my neighbor is a manicurist and she would talk about how things were changing. Doctor Quach also explains how exposure to certain chemicals can cause problems with people’s hormones, nervous system and potentially cause cancer/fertility problems. This can be an observational experiment because you can be watching how nail polish creates problems years later, or it can be experimental because you can test how much nail polish you put on and what happens. X variable- nail polish coats, Y variable- side effects, confounding variable- which brands did you use, did you use UV gel, what other products did you use, are there any fertility problems in the family, is there cancer in your genes, etc.? There is much speculation as to if you work in a nail salon that one is going to have respiratory problems because of breathing in chemicals all day- there is no proof that nail products cause this, but some people have complained of experiencing skin irritations, eye injuries and allergic reactions which can also create memory problems, nausea or cancer. Doctor Quach emphasizes how women working in salons can have birth defects- spontaneous births, preterm delivery, undersized babies, etc. because of the chemicals. It’s important to note that not only nail polish can cause birth defects, but other factors such as genetics, living area, not the proper medical care, stress, etc. can. I think there is a social standard and people, especially girls, feel obligated to wear nail polish. Whatever the reason is as to why we continue to wear hazardous chemicals, we all need to educate ourselves. The FDA has tried to regulate the products that companies can use, but some are still ignoring the laws. They warn against using certain chemicals, but it is up to you to use what you want and feel is right. Clearly there is a correlation between using nail products and health problems, whether it takes years for the products to destroy our bodies or months- (again) every one should be careful. People weren’t mixing chemicals on purpose to see what was giving people side effects and serious health issues- those happened over years. I think that nail polish will get safer when we eliminate the toxic chemicals and create new ways of making nail polish safe and healthy for all of us. As I have mentioned before I am a huge supporter of nail polish. I think it looks pretty, I feel better about myself and if I do not have a color on- I will bite my nails completely off, which I cannot stand. I know I should probably stop wearing it, but I won’t. I found an interesting video on why a woman decided to throw out all of her nail polish and it made me re-evaluate everything. I advise all of you to watch the 11 minute clip because it puts things into a new perspective. Disclaimer: If you are going to throw out nail polish, please let them dry out first and then dump them… DO NOT throw them down the sink because then they will be in our drinking water and we all know how that ends. This entry was posted in Uncategorized on September 11, 2016 by Kaitlyn A Kaminski. This is a very interesting post, possibly one of the ones that i have related to the most. Since i was young, paintining my own or my families nails was my hobbie. My nails never went unpainted, so much so that they even turned yellow as a result. Now, my stepdad is a car painter and would always yell at me for spending hours in my room with windows closed painting my nails. I never understood at the moment why he was over reacting over something so small. After all, the smell did not bother me so i saw no harm in it. It wasnt until one day i saw a “hack’ that said licking your nails after you smudged them would remove the smudge. Upon seeing me lick my wet nail he immediately made me rinse my mouth out and explained to me about all the harmful chemicals that nailpolish actually contains, much like you did so in your article. Now being a college girl, i regularly go get my nails done and just this past summer my nail technique that i had been going to for years quit because her skin was beginning to overflow with acne due to her high exposure to all the chemicals and toxins. Just then i realized that i spent so many years doing that to myself, exposing myself unnecessarily to chemicals and toxins when i saw painting my nails as something that could cause no harm. It is something that needs to be given more attention seeing how common it is. It is part of many women’s everyday lives whether voluntarily exposing themselves to it or whether it is through their ocupation. This article below looks at many of the serious side effects that nail products have, yet that we rarely hear about. I always have to have nail polish on my nails too and I’m always at a nail salon. After reading your post and the article, I realized how many of the people working in the salons I go to wear face masks, probably to prevent themselves from breathing in the toxins in the nail polish. I found an interesting article (http://www.foxnews.com/health/2015/10/19/study-finds-toxic-nail-polish-chemicals-in-womens-bodies.html) that explains how a study found an astonishing amount of nail polish brands contain triphenyl phosphate, a chemical used in plastics, according to Merriam-Webster Dictionary (http://www.merriam-webster.com/dictionary/triphenyl%20phosphate). This chemical was found to be absorbed by the body up to 14 hours after applying the nail polish, which is crazy to think after all the nail polish that I repeatedly apply to my nails. I hate the fact that something that makes us girls feel so pretty and well put together could have such dangerous effects on our health. There was actually a huge scandal recently around where I live (New York City) where many nail salon workers actually went on strike because not only were they working there illegally and earning less than half of the minimum wage, but they were also developing cancer and numerous other health problems due to the fumes that they were breathing in on a daily basis. Ever since then, New York City has made it a law for all nail salon workers to wear a face mask whenever they’re doing manicures, especially with gel polish and acrylic. According to this study done in 2006, ( http://www.ncbi.nlm.nih.gov/pubmed/17033506) , 38% of people surveyed had developed asthma after entering the cosmetology profession. Thats over 1 in 3 people developing asthma, which is an incredibly scary number. I believe that nail salon owners need to start taking charge in the health of their employees. 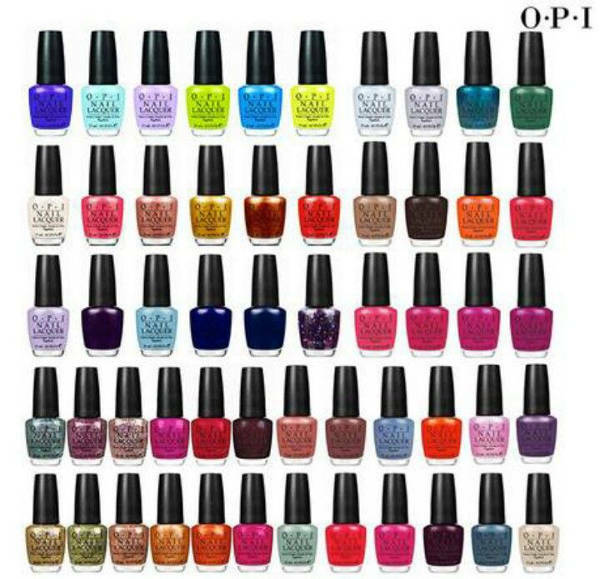 There are so many brands of nail polish that don’t include formaldehyde, one of the dangerous chemicals that causes cancer, like NARS, butter london, deborah lippman, Zoya, and Essie. Wow, this is an interesting topic. I never really thought about nail polish being a health threat. Now that you bring it up in your post, it makes sense. After all, the scent given off by nail polish probably indicates it’s not the best to be inhaling..or putting on your nails. I wonder if nail polish remover could be dangerous to our health as well? You wonder if issues like this will become more prevalent over the years. I suppose only time will tell. As I was reading though, I wondered if it’s only dangerous if you bite your polished nails. Or if the chemicals saturate into your nails and cuticles? Luckily I don’t wear nail polish often, whatever the case may be.